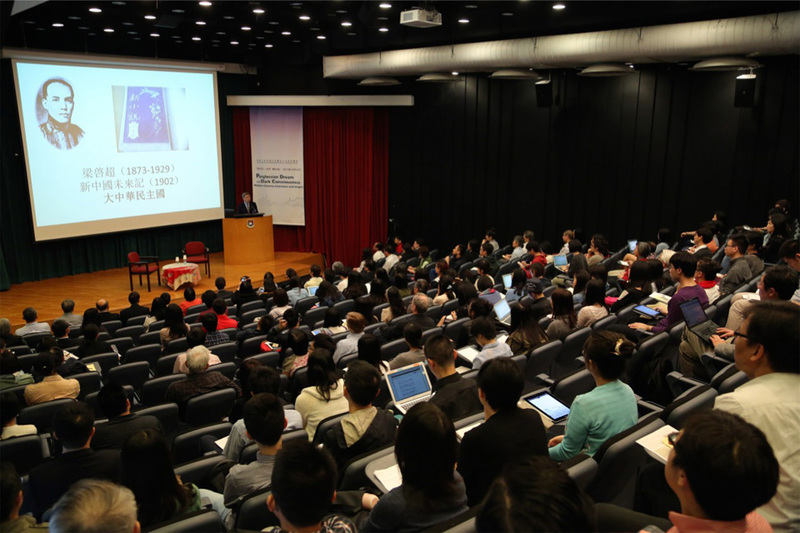 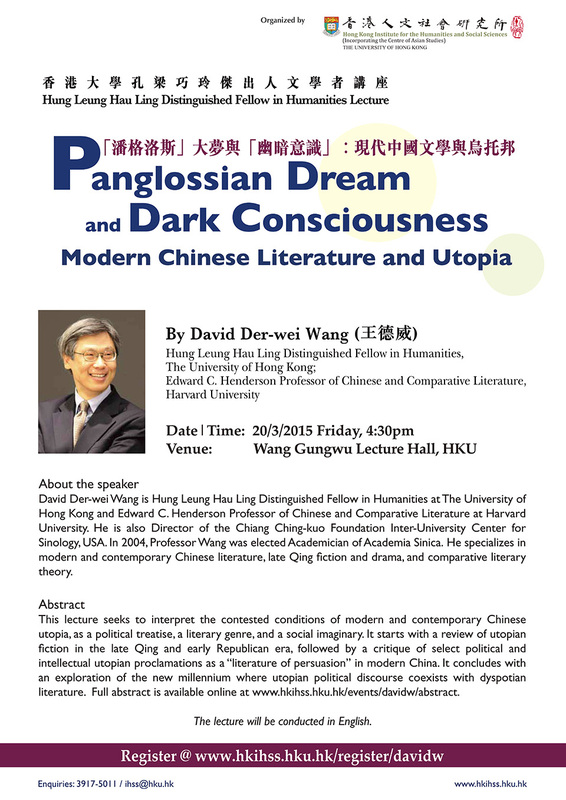 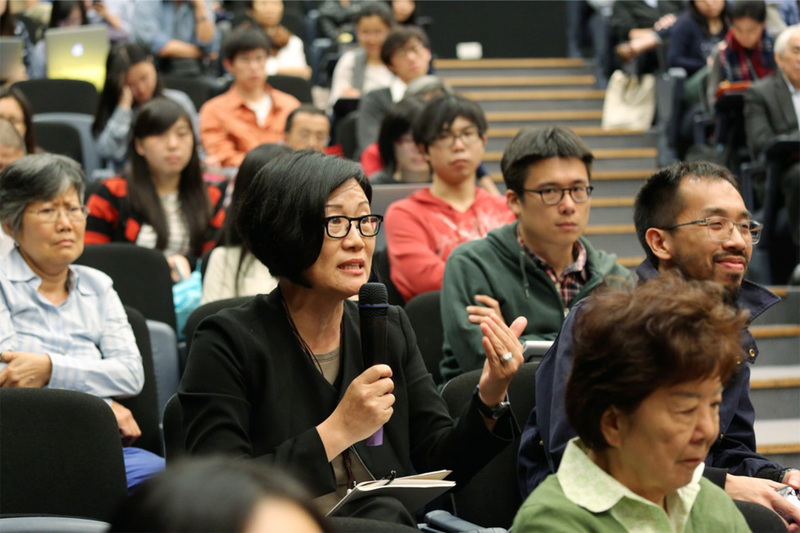 This lecture seeks to interpret the contested conditions of modern and contemporary Chinese utopia, as a political treatise, a literary genre, and a social imaginary. 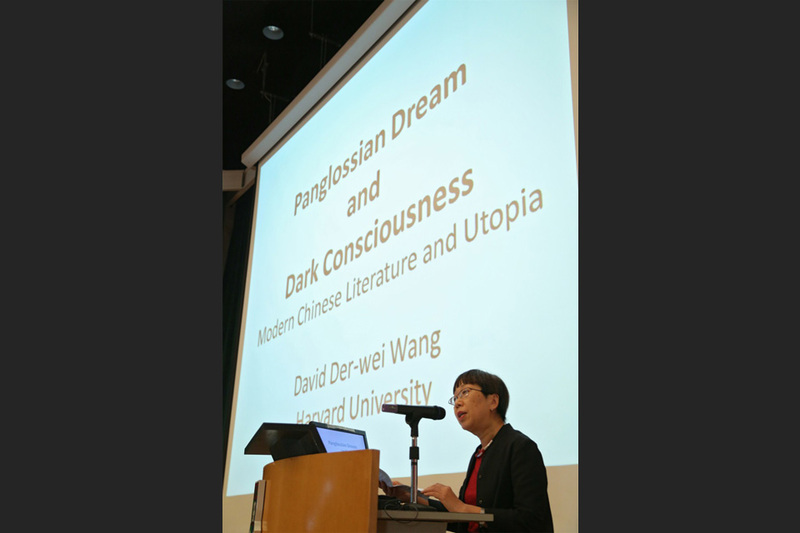 It starts with a review of utopian fiction in the late Qing and early Republican era, followed by a critique of select political and intellectual utopian proclamations as a “literature of persuasion” in modern China. 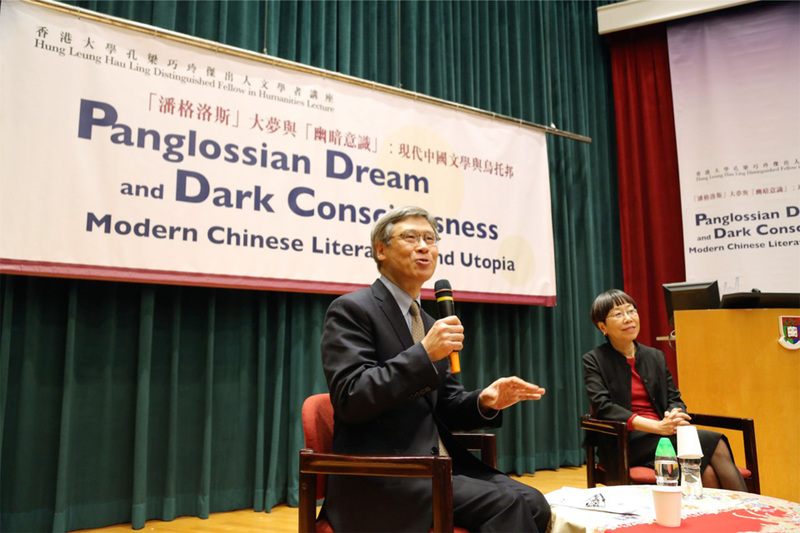 It concludes with an exploration of the new millennium where utopian political discourse coexists with dyspotian literature. 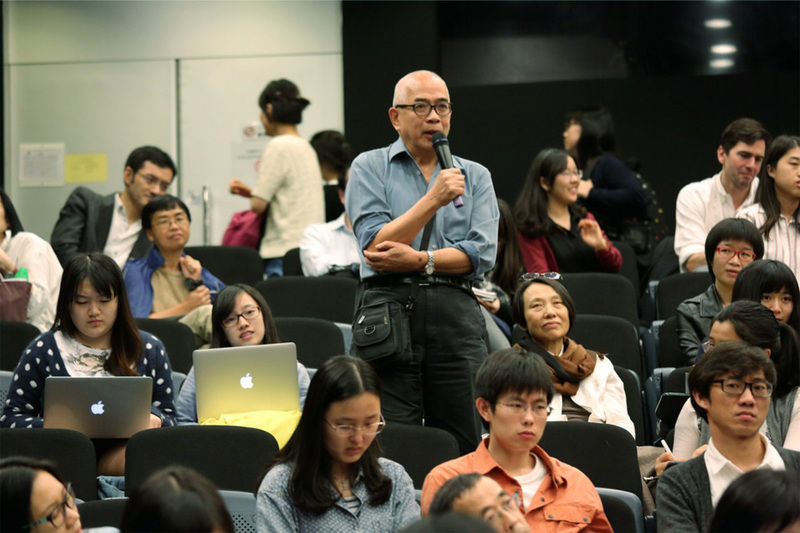 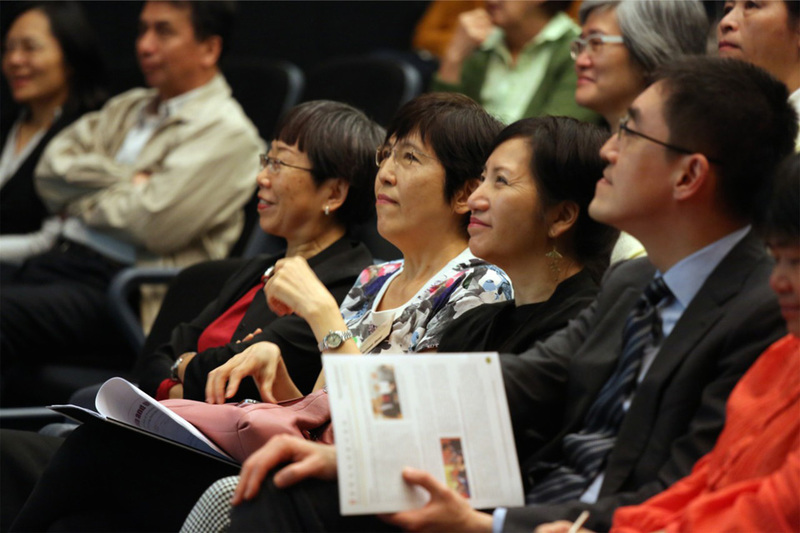 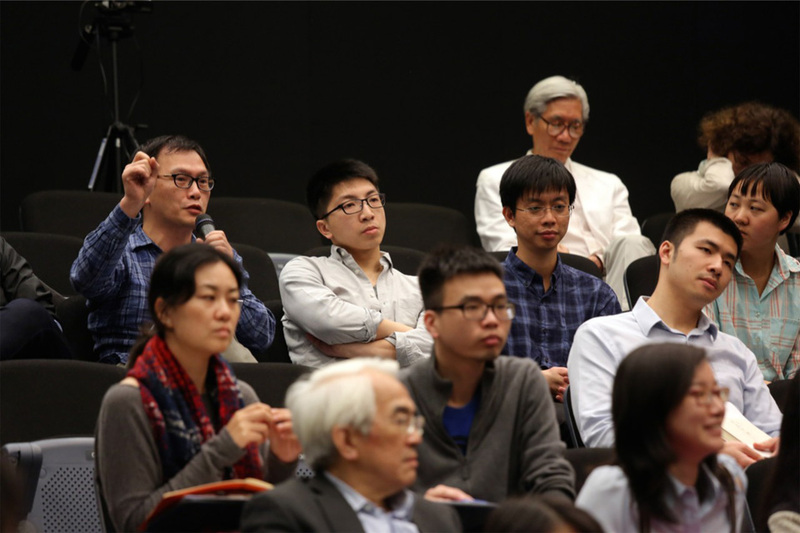 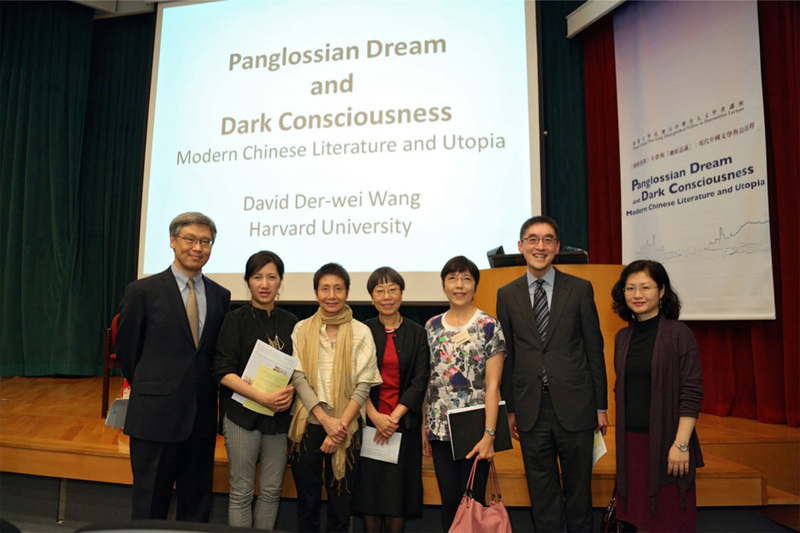 David Der-wei Wang is Hung Leung Hau Ling Distinguished Fellow in Humanities at The University of Hong Kong and Edward C. Henderson Professor of Chinese and Comparative Literature at Harvard University. 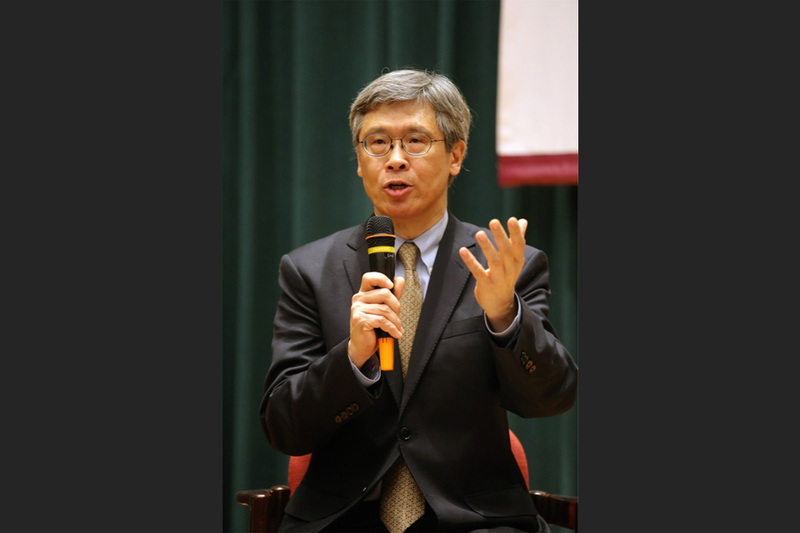 He is also Director of the Chiang Ching-kuo Foundation Inter-University Center for Sinology, USA. 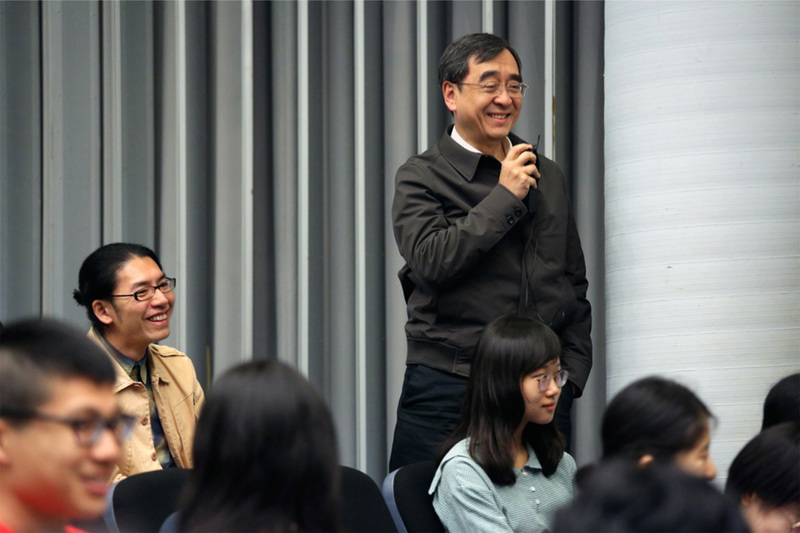 In 2004, Professor Wang was elected Academician of Academia Sinica. 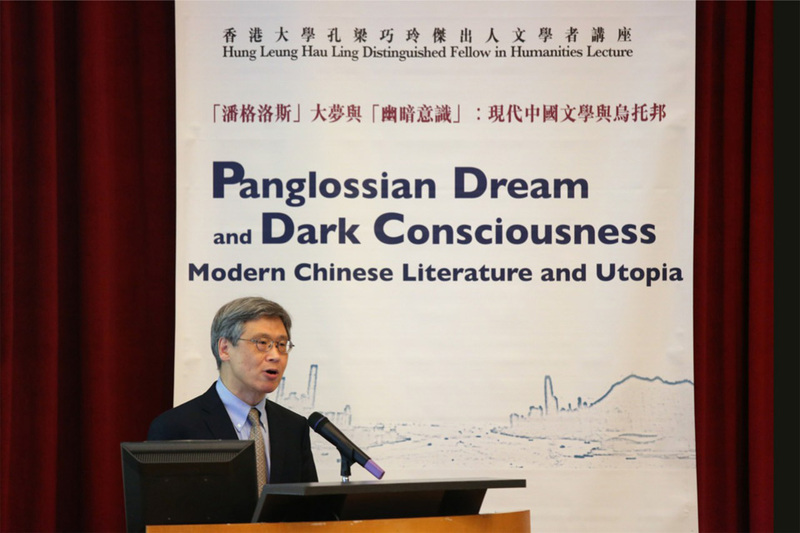 He specializes in modern and contemporary Chinese literature, late Qing fiction and drama, and comparative literary theory.